Enthalpy changes are an incredibly exciting area of practical chemistry that students really enjoy. 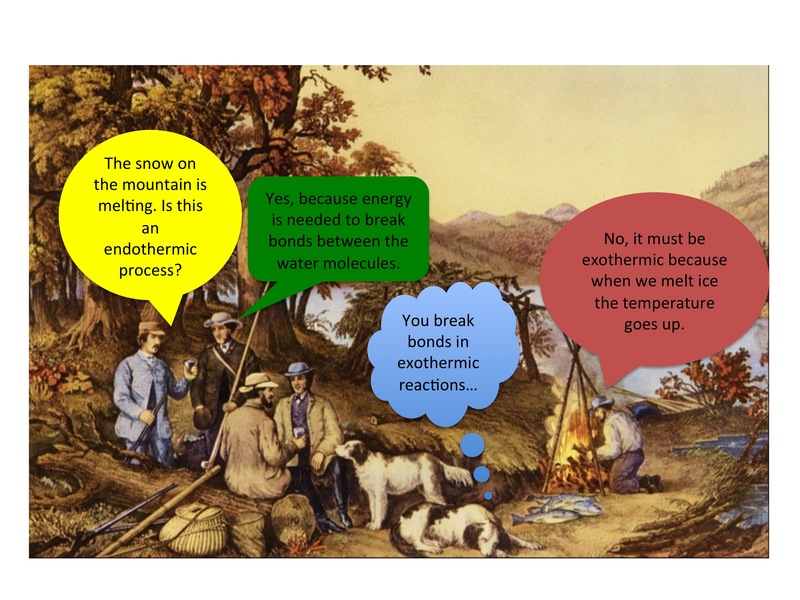 It can be a challenging topic to teach as students often struggle to understand why exothermic reactions that record an increase in temperature, have a negative enthalpy change. This can be easily addressed if students understand energy profile diagrams. Remember, enthalpy is about about the energy change that takes place during a reaction, and therefore students should study enthalpy changes in the context of a chemical reaction, considering both the energy of the system (reactants and products) and the energy of surroundings. There are some fantastic teacher demonstrations that can be done to illustrate temperature changes seen in exothermic and endothermic reactions, such as reacting ammonium chloride with barium hydroxide. GCSE practical investigation to calculate an enthalpy change for an ice pack. Students imagine they work for a sports company that makes ice packs to treat injuries. They evaluate a reaction and determine its suitability for use in an ice pack. This method requires students to read a thermometer to the nearest 0.5 °C. Investigation to determine how much energy is in food. Students determine which snack has more energy: Quavers or rice cakes. They calculate temperature changes per gram of food to decide whether they would take rice cakes or Quavers on their mountain adventure.